After firing five rounds of Hornady 155 gr XTP from a Glock 20 into synthetic ballistic gelatin from 10 feet away through four layers of fabric to simulate clothing, we then measured the expansion and penetration of the bullets for this 10mm Auto load, which you can see in the chart below. 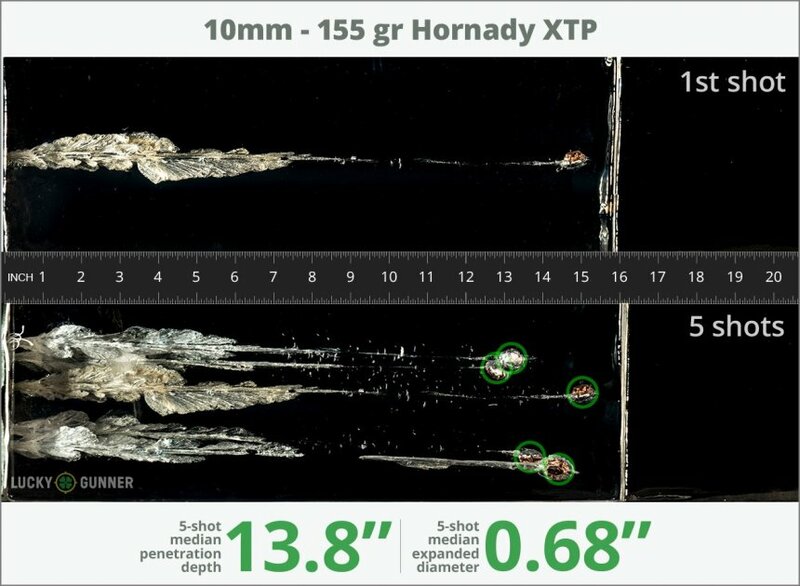 Finally, if you'd like to see how this Hornady load compares to other 10mm Auto loads, check out the diagrams at the bottom of the page. Want to know more about our ballistic gelatin testing and self-defense ammo? Check out Lucky Gunner Labs for more information. 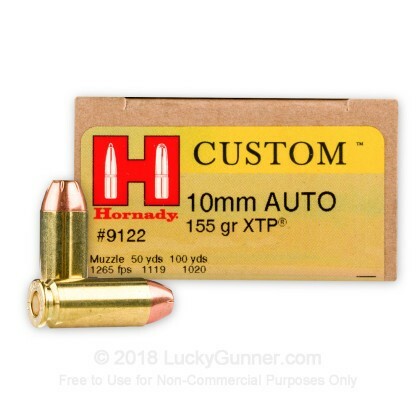 How do the results for this Hornady 10mm Auto compare to other 10mm Ammo? 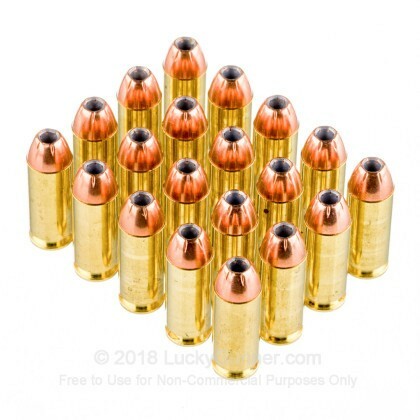 0.81" This ammo: 0.68" Min: 0.4" Median: 0.63" Max: 0.81"
13.8" 0" 11.7" 18.6" 48" This ammo: 13.8" Min: 11.7" Median: 18.6" Max: 48"
Great product. Seller shipped quickly and the pricing is great. 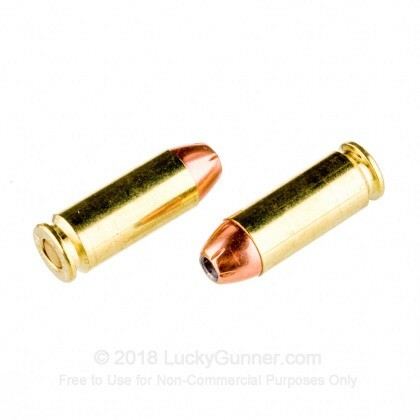 Have 5 different 10mm pistols and have tried all the ammo out there.. This and 150 gr DT , there are no other .. When your life depends upon it..
Pricey yes but put a $ amount on your life or a loved ones. 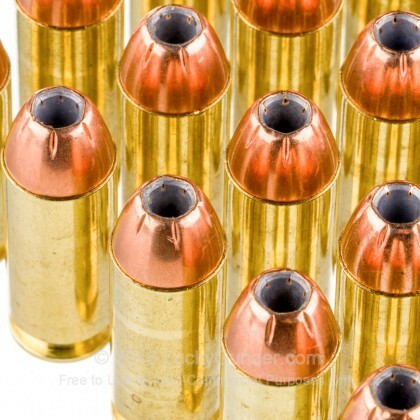 I'm a big fan of 10mm and I believe I've tried all 10mm ammo available. each magazine. 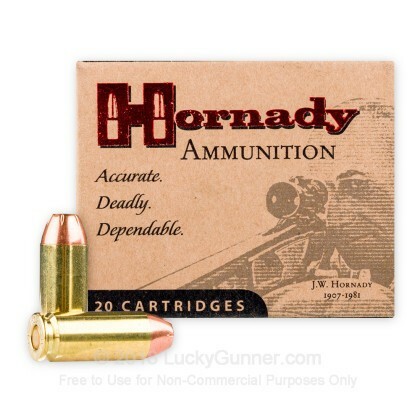 The Hornady 155gr. XTP was/is flawless. packaging and it's nearly twice the price. 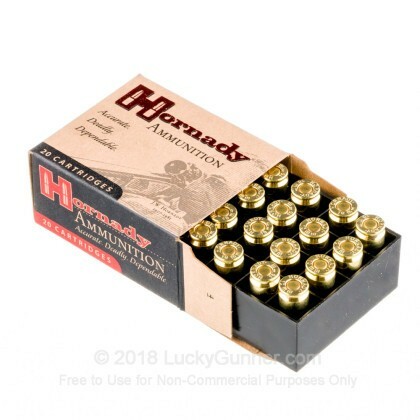 Fantastic Ammo. Didn't chronograph it, but it definitely has some "oomph." Several people at the indoor range wanted to know what the heck was I shooting. Feeds flawlessly, very accurate and my first gen Delta Elite loves the stuff. What more is there to say. I will be ordering more when my income tax refund shows up. Providing the gub'mint changes their mind. Or da wifee finds da check. I wish i coul order 1000 .Iwonder were my blood brother Ted Nugent gets his .I yhave 1 10mm &ilove it. would like to buy another.